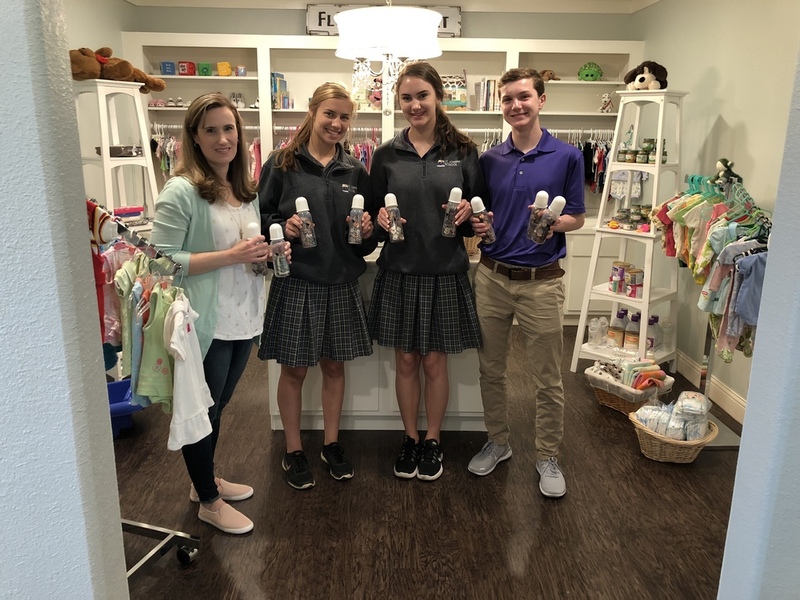 High school students Mattie Elsinger, Maria Casavechia, and Kyle Hartman recently delivered the remaining change-filled baby bottles to Life Choices, Inc. in support of its "Change for Life" fund-raising campaign. $1,362.10 was raised by our school to bolster this pregnancy counseling center's budget. Ms. Jamie Bagby accepted the donation on behalf of Life Choices.